Large TV. Screen is 46 inches corner to corner. With stand, total size is 43 inches wide and 29 inches high. 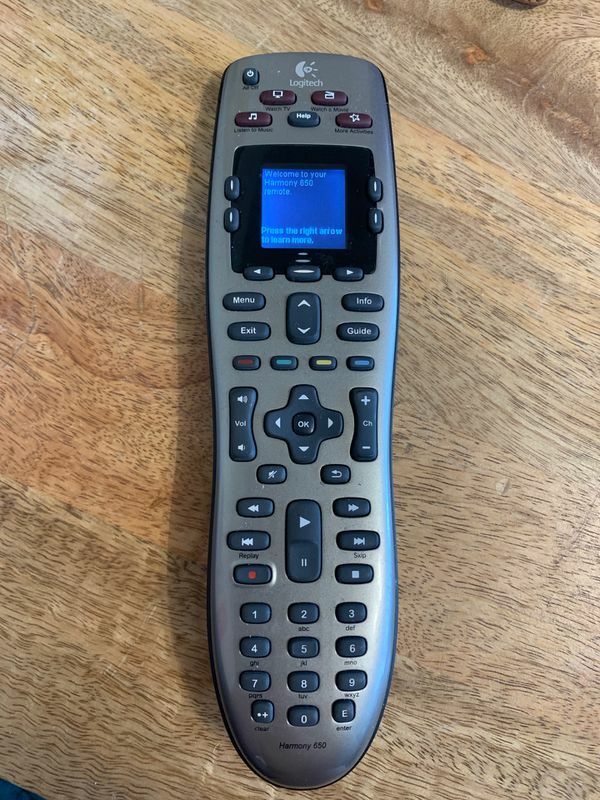 Comes with my fancy universal remote control that has a video screen built in — Logitech Harmony 650. Programmable with all equipment, even DVD player, Apple TV, Chrome stick etc. I already have it synced up with this TV so you’re ready to go. Moving across the country and it’s too big for me to take, just need to get rid of it. Selling for very cheap.